Cambridge Agenda for Children OST works across sectors to develop a system that replaces a fragmented patchwork of service providers and leaders, with a more efficient, quilted, cohesive coalition. These efforts most critically include the Cambridge Public Schools (CPS). 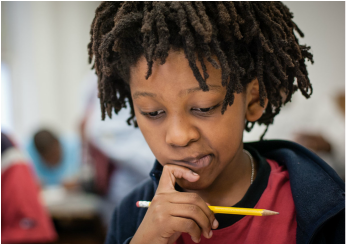 More than a decade of research and evaluation indicates that young people who consistently participate in quality OST programs benefit in terms of school connectedness, better attendance, stronger work habits, increased assessment scores, and academic performance. They also develop positive relationships with caring adults and peer groups as well as increase their social and emotional learning, self-confidence, critical thinking skills, resiliency, health and wellness. See our Research and Publications page for more information. We know that CPS students are learning at all times of the day and year, and the Agenda for Children is committed to facilitating partnerships across systems, departments and with Cambridge’s diverse range of OST providers to ensure that there are intentional structures, resources and supports in place so that our shared students have equitable access to a robust range of OST learning experiences, ranging from engineering and math to the arts, from peer leadership and community action projects to sports. We also know that the young people most in need of additional learning opportunities beyond the school day are often the least likely to have them. Therefore the Agenda for Children is working with CPS to increase access to quality enrichment opportunities throughout the day and year, particularly for underserved students. We are focused on this collaborative approach with CPS across district and school levels because we know that students need robust and innovative ways to learn both in and out of school in order for them to be prepared for high school, college and career success. These days, more is expected out of our students and graduates than ever before.